THE ANNEX — gallery b. The events and activities at the Annex will demonstrate a commitment to community service. Each residency will offer children's workshops - from drop-in-and-draw with the resident artist to workshops designed for children in painting, building, filmmaking, and performance. Our first season in operation will be a shakedown cruise: we will provide great programming while exploring the possibilities of this new initiative. The Annex has 5 apartments and one public studio/gallery space. This year, we will have one or two artists in residence at the same time as well as offering a range of public events. In the future, we plan to have house one artist at the same time as and two other residents in different disciplines (including writers, historians, scientists, economists, and others). Each resident will have unfettered time to work, research, and explore but they will also have the opportunity to interact with each other through public events like such as panel discussions, presentations, and performances. 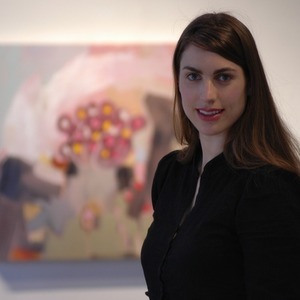 Hannah (a perrenial gallery b. artist who hails from Lincoln, Massachusetts by way of Cambridge and originally Paris, France) will be in residence from June 30 - July 15. Stay tuned for Open Studio Days and our Drop-In and Draw program for kids.